With my first official concert for 2019 not being planned for before March I find myself struggling with reasons to stay in the grey and cold Berlin. It can be really depressing here if you let it, so here is a list of reasons you should actually visit Berlin in the first place and what keeps motivating me to pass this monotone days in this amazing city! 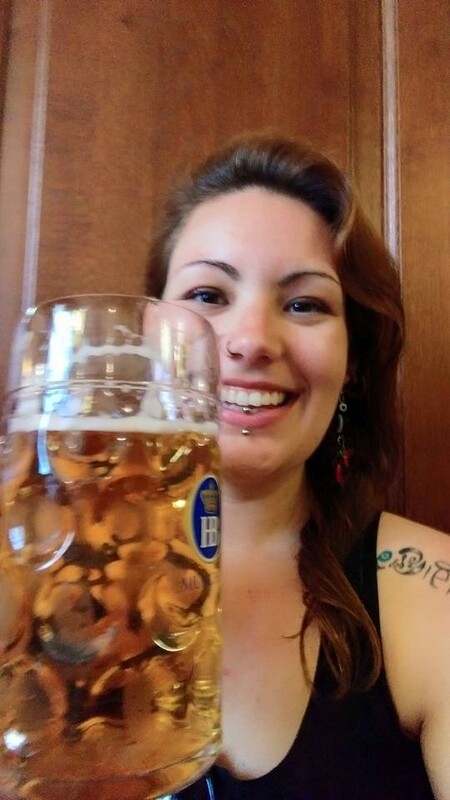 Ok, this is not a real reason to visit Berlin specifically, but Germany in general! I have loved beer since I can remember start drinking and although I love me a good danish Carlsberg Elephant, my favorite is a type called “Helles” that Wikipedia explains as: A traditional German pale lager beer, produced chiefly in Southern Germany, particularly Munich. The German word hell can be translated as “bright”, “light”, or “pale”. So if you are in around Germany is definitely worth a try, and as a tourist you are actually allowed to spend 10 to 12 EUR on a Maß (1 liter) in a overachieved Brewery ;), but to be honest you shouldn’t as the same beer costs less than 1 EUR in a 0,5L bottle in almost any supermarket and around 2-3EUR on tap in a common bar. In the past years we have had good and “bad” Summers in the city, but I truly believe is the best season to visit Berlin. It fills up in sunshine, there are innumerous parks, beach volleyball courts, lakes and places to be discovered within a bike ride while the sun shines. The day light lasts until 11PM at some point and nothing beats a good cold beer with friends at klunkerkranich (a roof top garden/bar above Berlin). Even just the bus rides in the double-decker over the sundown is magical! I even wrote about my past summer, as I it was one of my favorites. You can choose from various open air festivals, concerts, fairs …stay tuned for what’s happening when you come. In Berlin you can be whatever or whoever you always wanted to be! There is no judgment (at least no in plain sight as everywhere else). As I always say, you can walk around naked, go to the supermarket in pajamas or dress entirely in glitter and nobody would even look at you. The chances are humongous, you can walk around barefoot, have piercings and the most weird tattoos, shave your head, dye your hair bright yellow, wear leather and a dog collar and literally nobody will care. You can be gay, trans, women, men, lesbian or a ET. It doesn’t matter as long as you feel comfortable in your skin. Being YOU is your strongest suit in Berlin. Actually, the most famous party in Berlin only let’s you in if you are “different” or “original”. The history is everywhere, from the island of museums to the floor on the streets. Everything is marked by signs of history and art. You don’t need to go to a museum, you can pay attention to the floor and see the Berlin wall drawn in the asphalt, or a piece of it painted with pieces of art, you can see golden metal plates on the floor as a memoir for the people who used to live there and had their lives taken. Everywhere you look there is history, some of the best deals are to be seen in the walking tours where professionals give you more information about it. But, if museums are your thing there is plenty to see, a whole island of it! 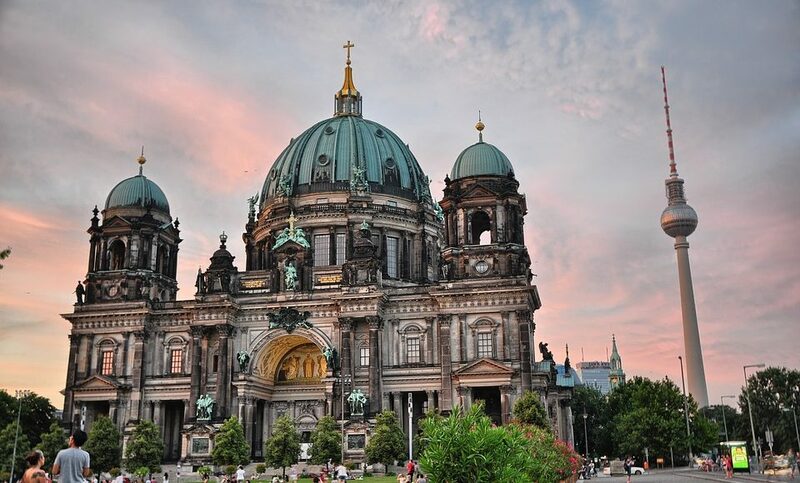 Going on vacation is not always cheap, but Berlin is one of the most affordable capitals in Europe. If you play it right, you can get around pretty cheap, meaning eating out on “not so fancy restaurants” may cost you around 10EUR per person. Going to the supermarket to get snacks is also going to blow your mind, you can get delicious chocolates, chips, beer and small stuff like bread and cheese for little money. 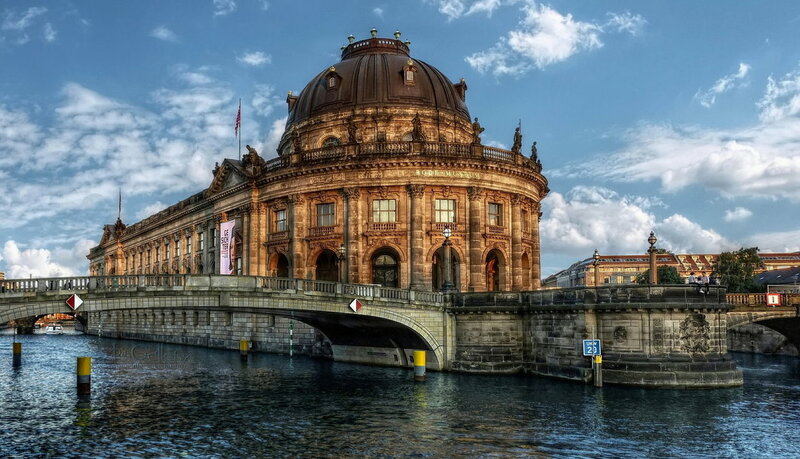 If you are on a budget, Berlin is definitely your destination! Party is also pretty cheap around here. Most bars don’t have an entrance fee, Beers cost around 2-3EUR as mentioned before (just don’t go to the tourist traps) and cocktails range from 4,50 to 15 EUR depending on where you are. The entrance fees for the bigger parties almost never cost more than 15EUR. So compared to other Europe cities Berlin is a dream! Of course there are many other reasons to visit Berlin, but I can spoil everything for you 😉 So let me know your favorite too!